Nottingham Forest chief executive Paul Faulkner has resigned less than 24 hours after Stuart Pearce was sacked as manager, BBC Nottingham Sport reports. Faulkner had only been in the role for five months, having officially taken over at the start of September 2014. 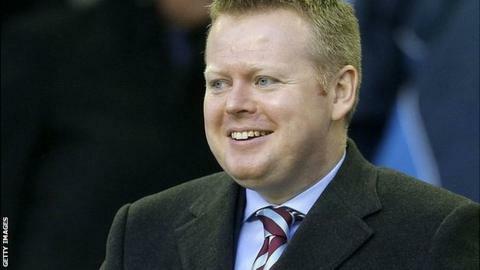 The former Aston Villa chief executive has been placed on gardening leave, but the club are yet to confirm his exit. Dougie Freedman replaced Pearce as boss on Sunday after the loss to Millwall left them 12th in the Championship. Owner Fawaz Al Hasawi said the poor run, which has left Forest 13 points off the play-offs, convinced him that Pearce had to go. But he said dismissing Reds legend Pearce was his "hardest footballing decision". Pearce, who spent 12 years at the club as a player, is still considering taking up an advisory role at the club. Listen again to BBC Radio Nottingham's Matchtalk special on Pearce's departure.